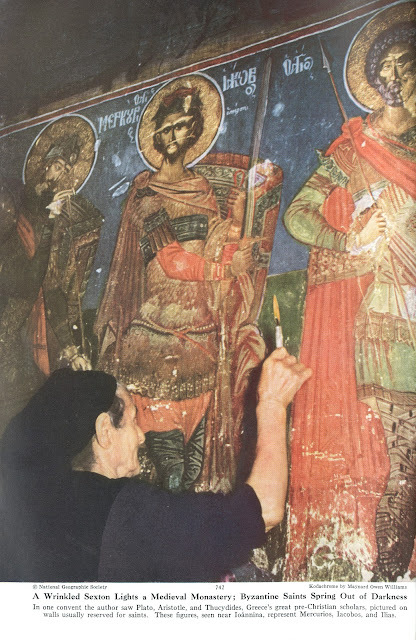 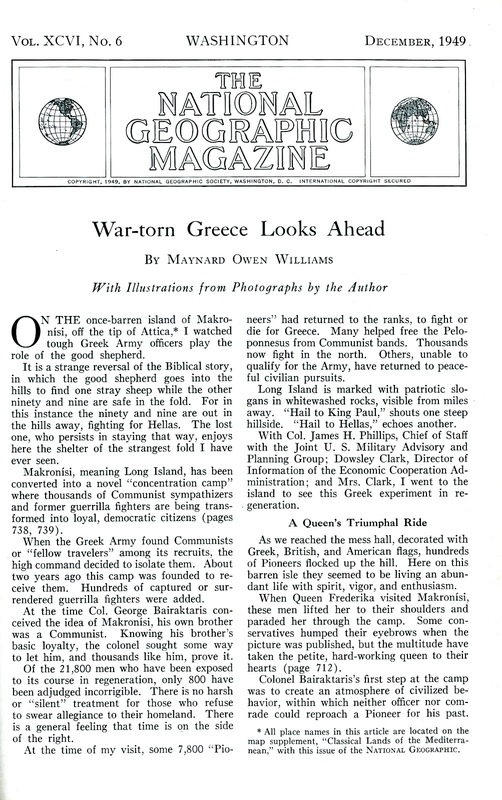 “On the once-barren island of Makronisi, off the tip of Attica, I watched tough Greek Army officers play the role of the good sheperd”. 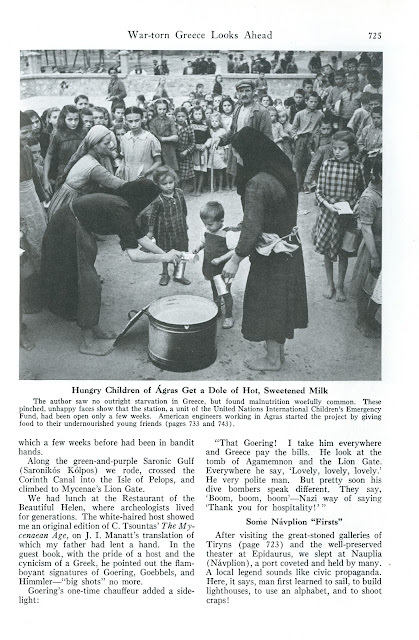 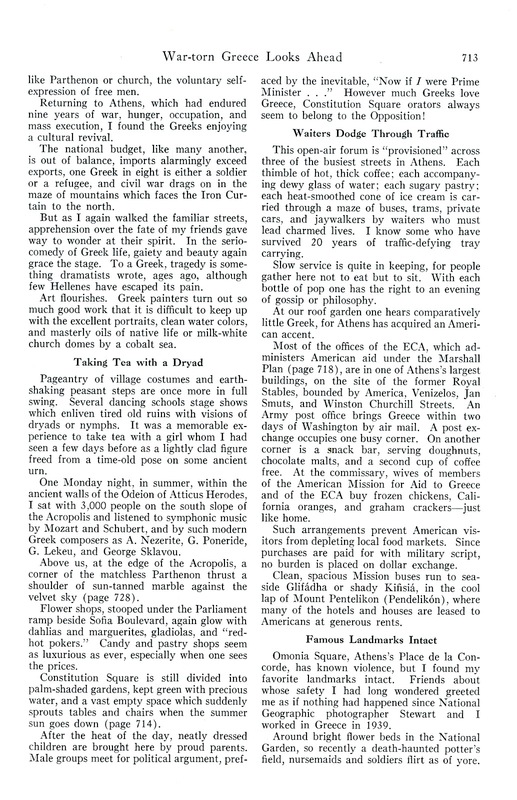 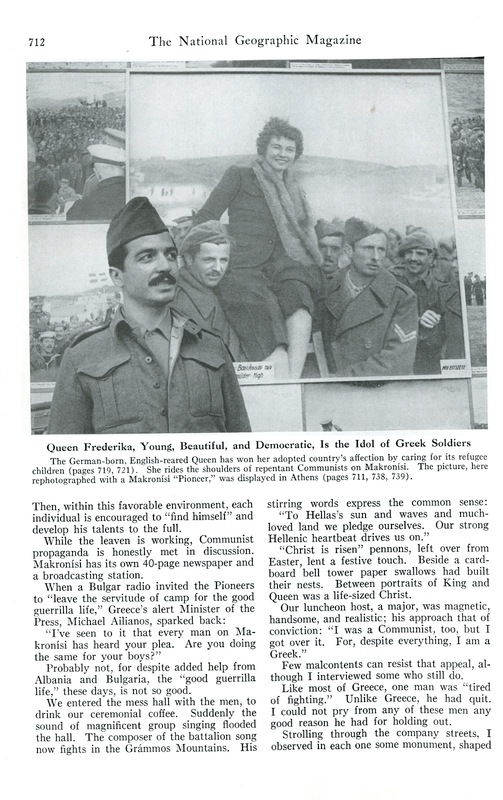 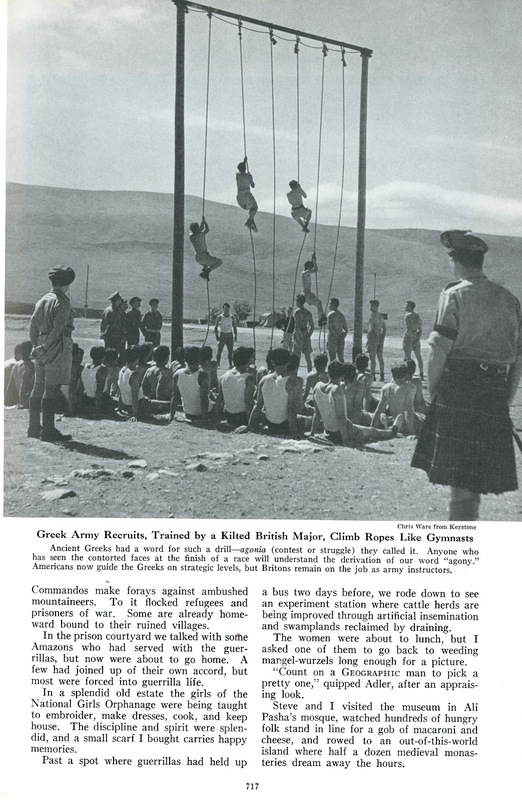 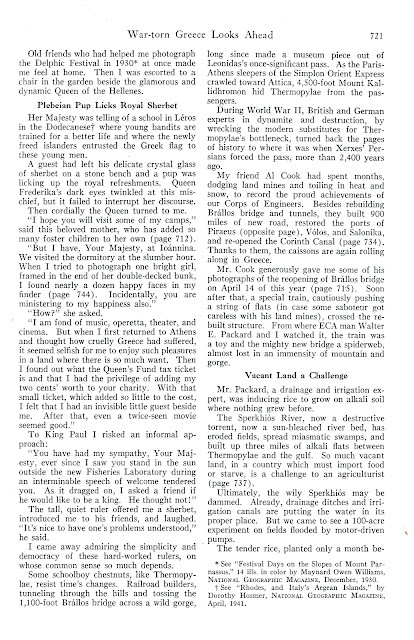 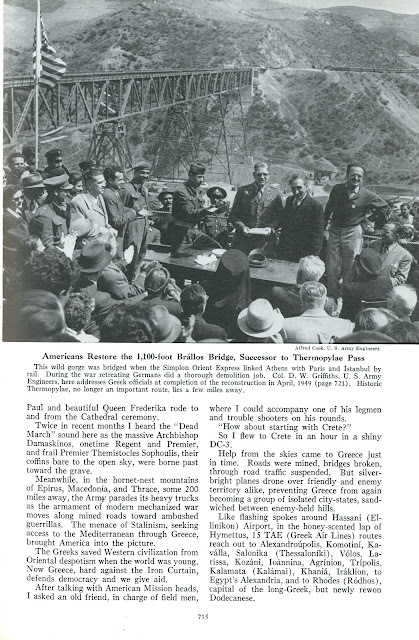 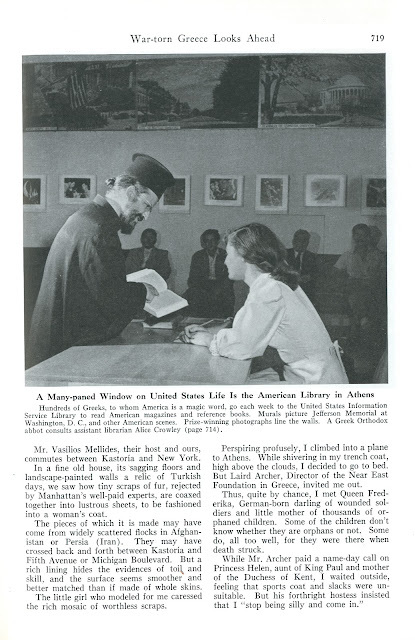 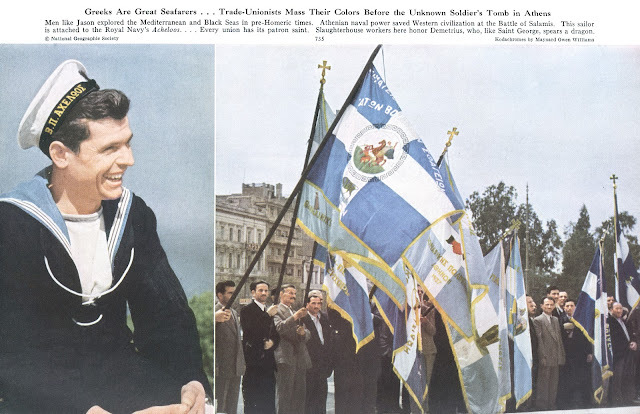 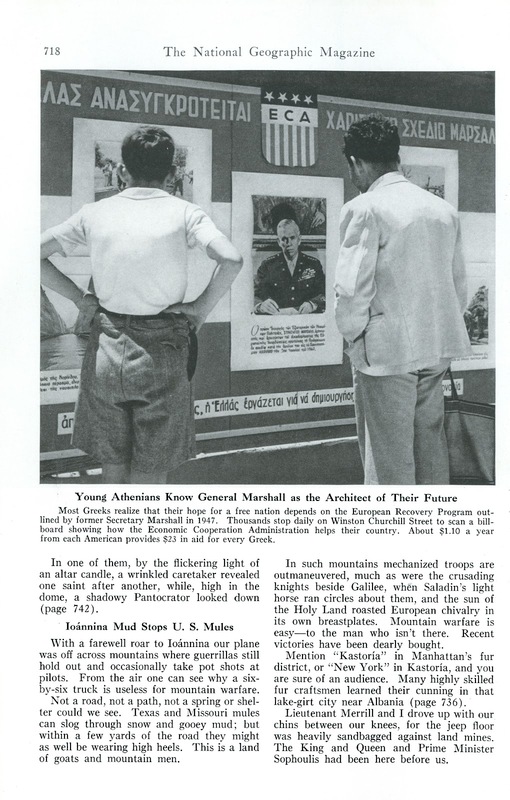 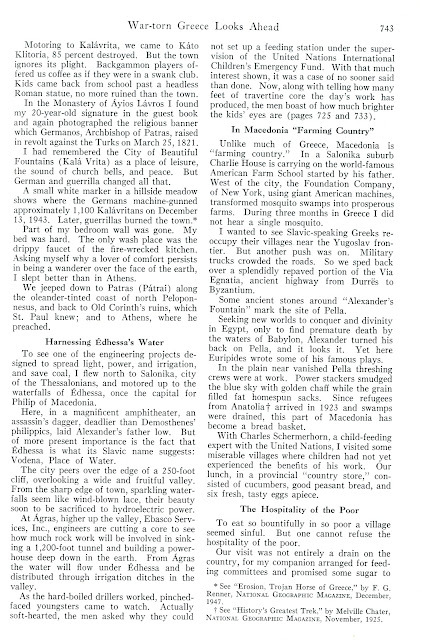 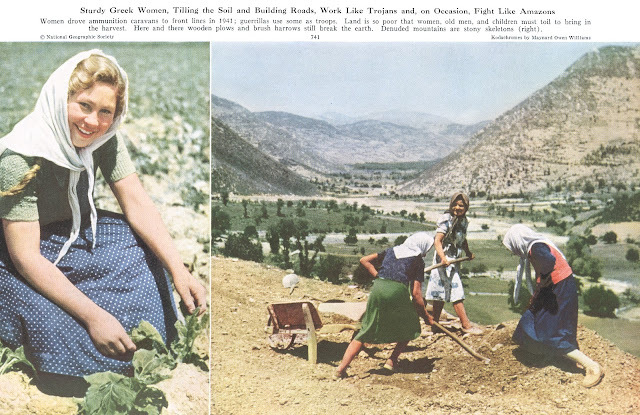 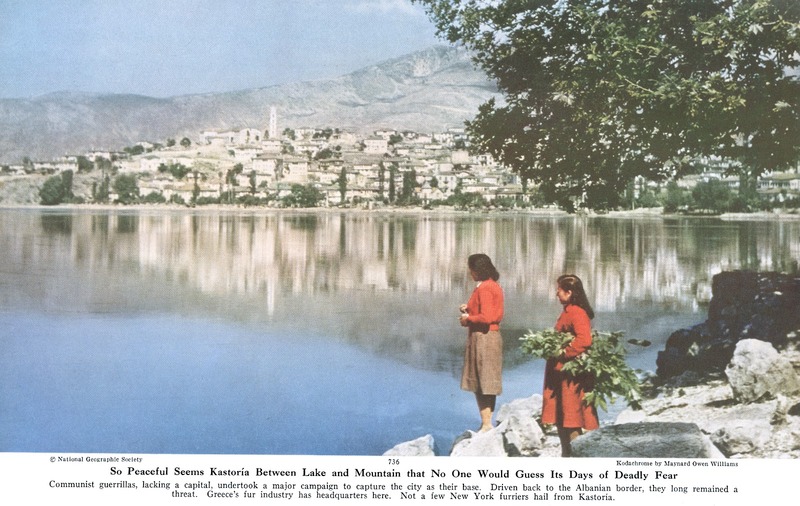 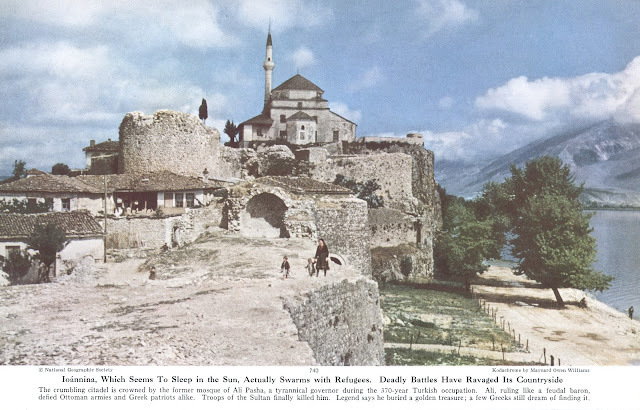 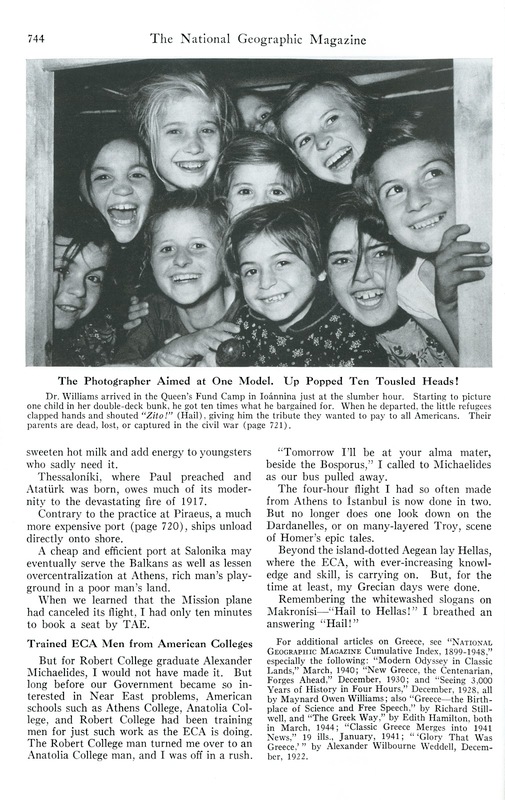 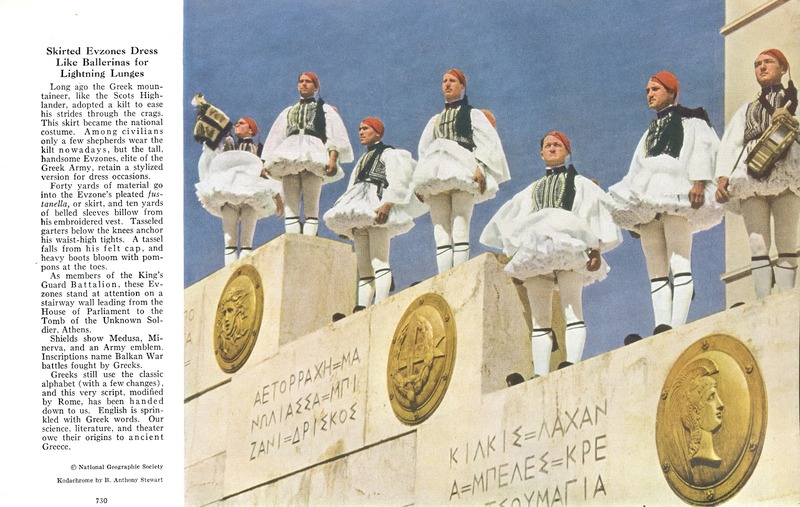 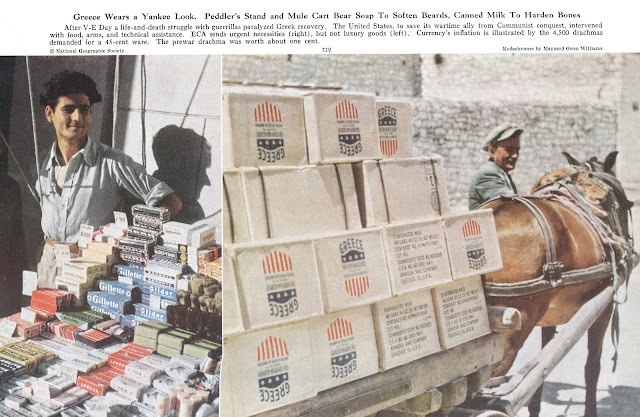 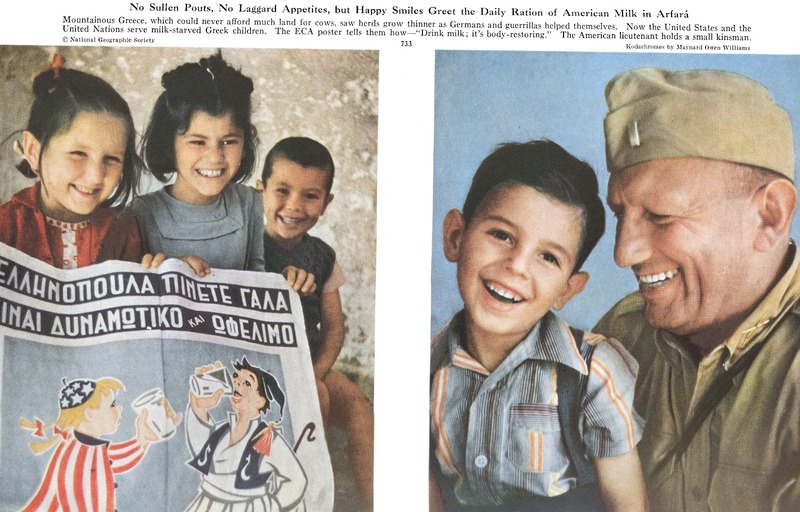 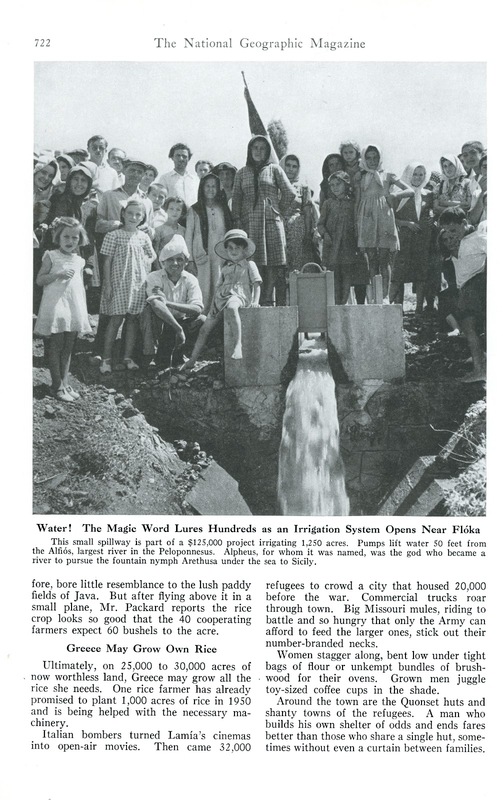 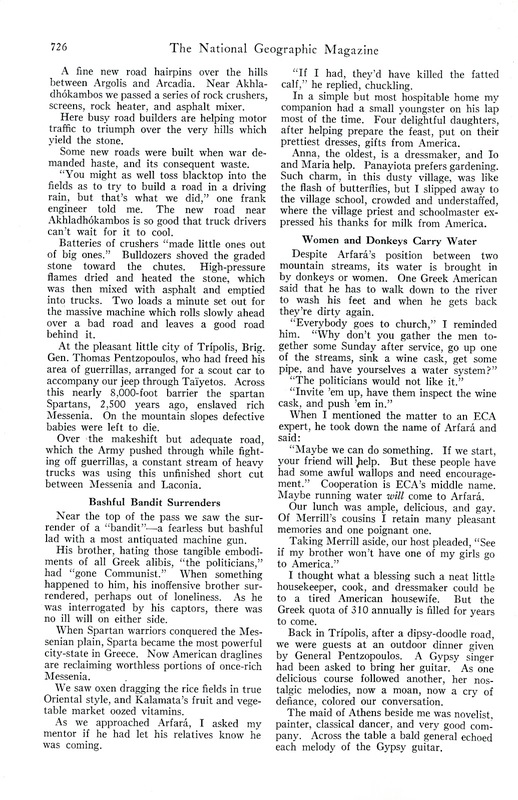 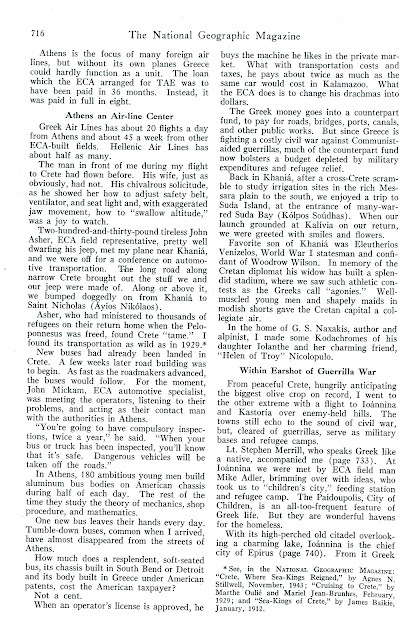 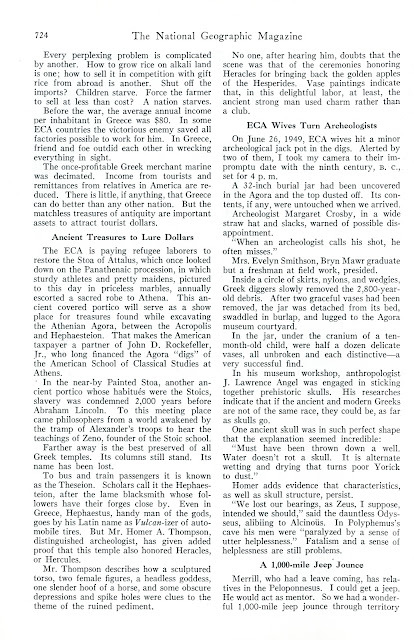 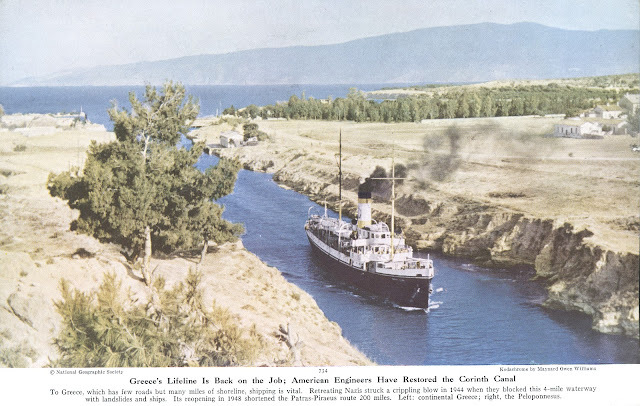 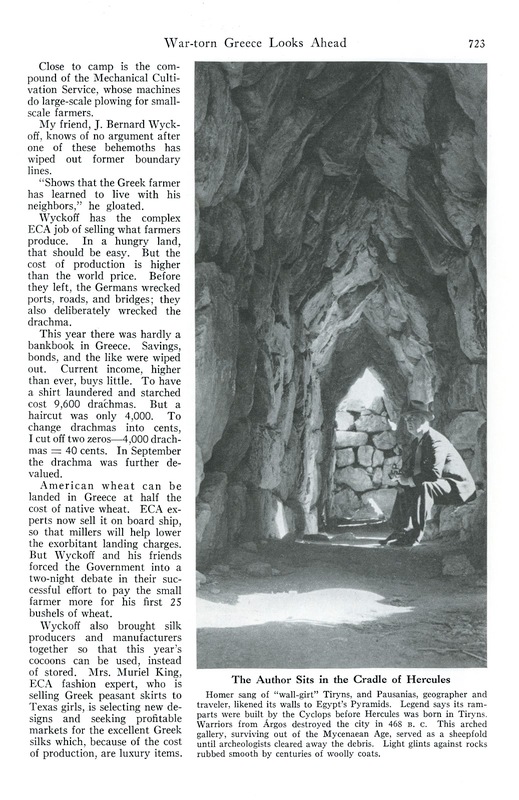 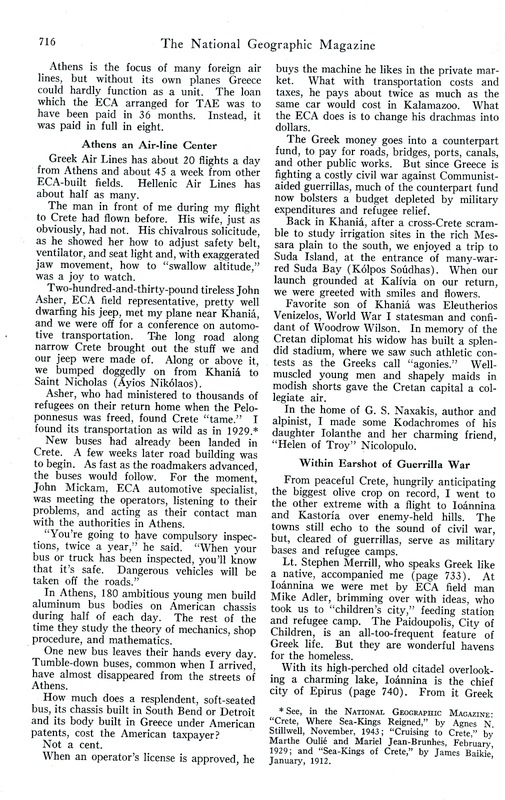 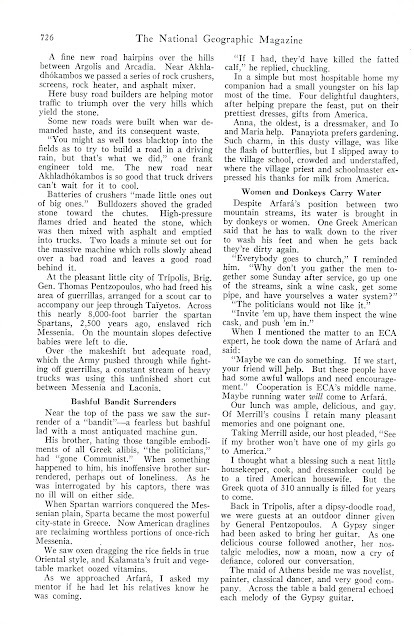 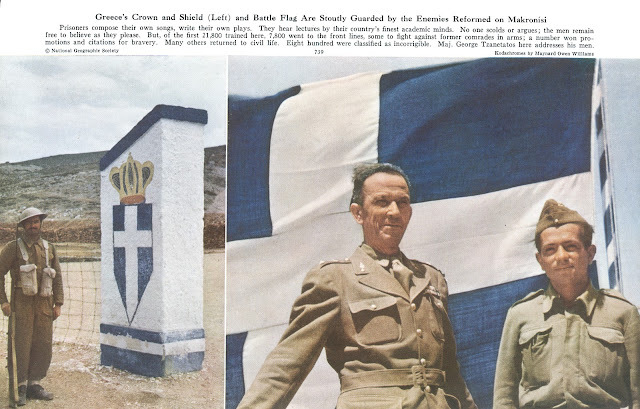 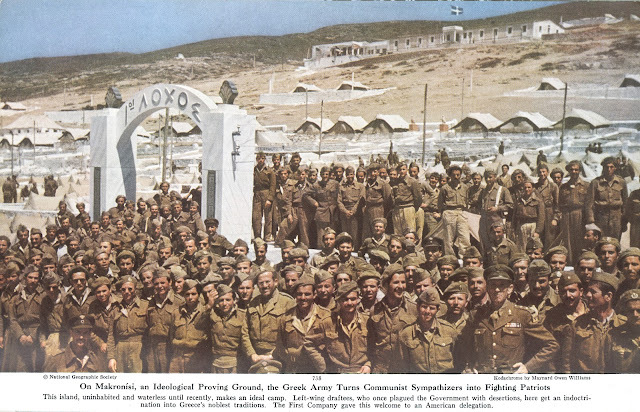 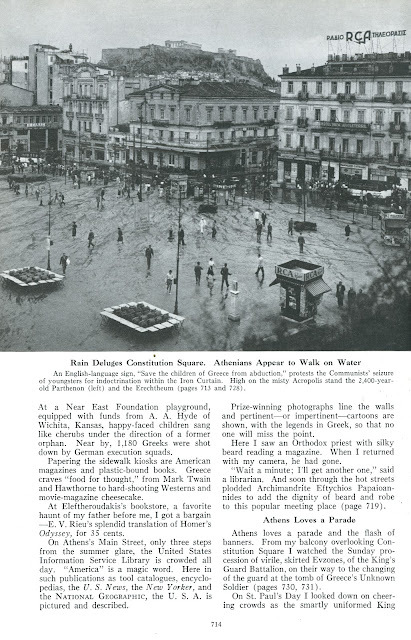 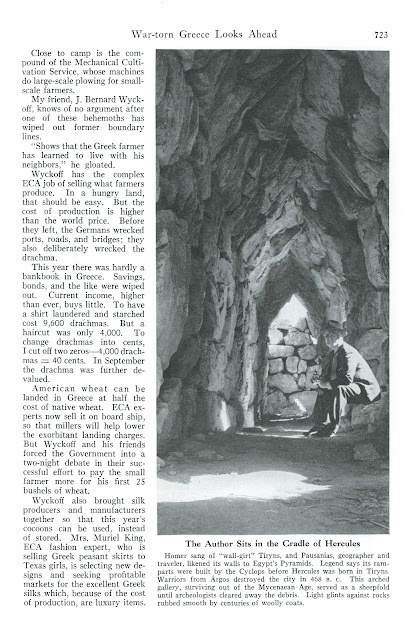 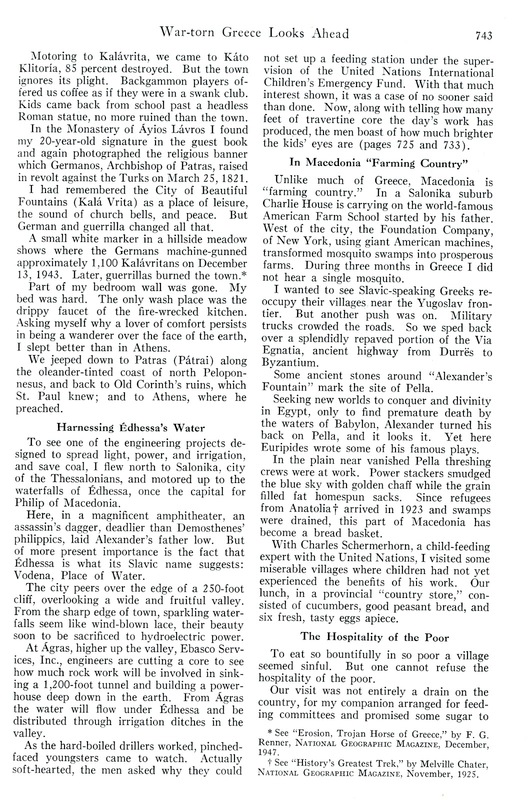 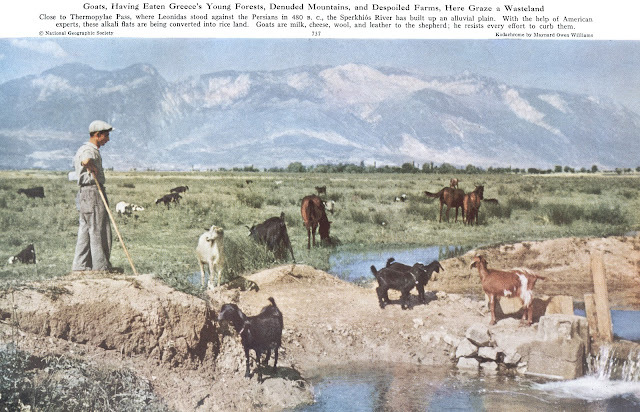 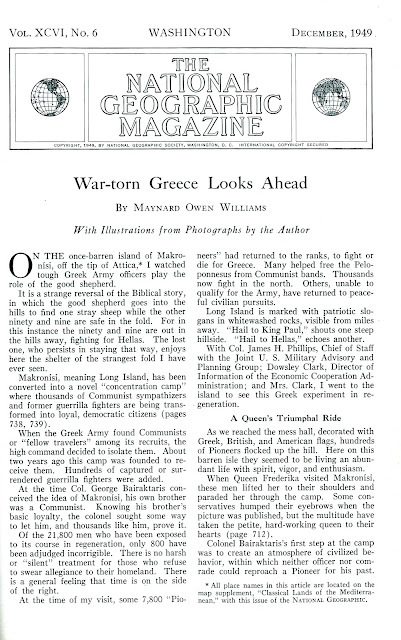 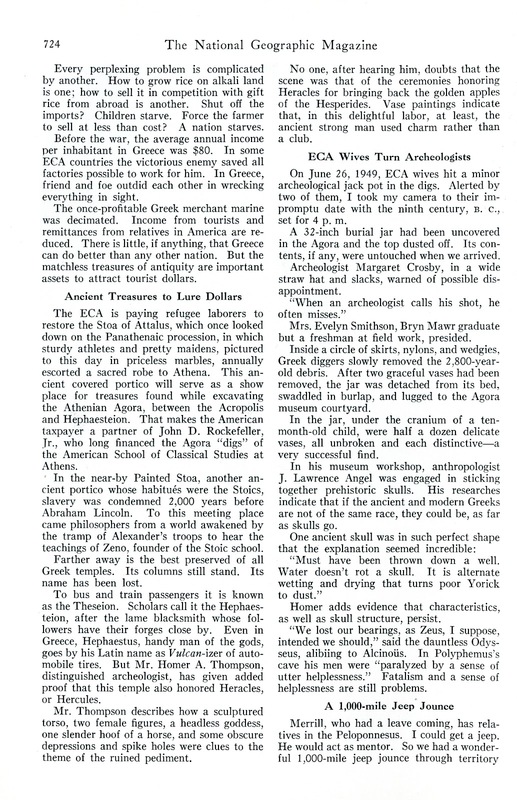 In the December 1949 issue of National Geographic magazine, just a few months after the end of the Civil War in Greece (1946-49), seasoned journalist Maynard Owen Williams describes is experiences. 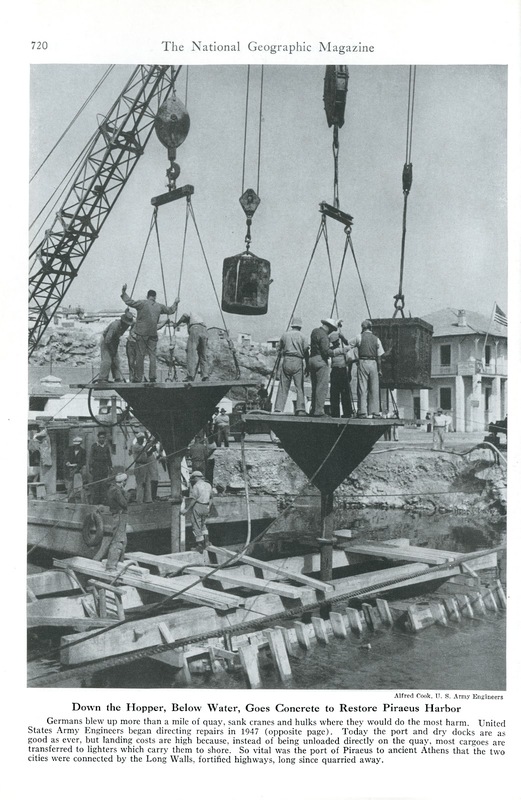 For historical reasons, ww2wrecks.com publishes the full report of the National Geographic magazine, which vividly illustrates the aftermath of the nazi occupation (141-44) and the reconstruction of the war-torn country, following the destructive Civil War.